Scroll down to see the many wonderful items we are offering at an exceptional price. Each is made with loving care! 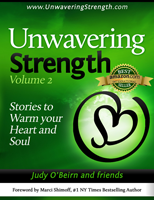 First book in the“Unwavering Strength” series is a heart-warming collection of inspirational stories from 32 authors, designed to help people find the strength, peace, and comfort they need on their journey to healing. 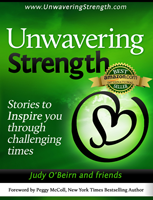 From illness to death and loss to phobias, daring escapes and bullying – these moving stories of vastly different experiences all share a similar, unifying message:The strength and power to overcome ANY type of adversity lies within each of us. You’ll find while adversities may be inevitable, overcoming them always leads to the same outcome: growth, healing, and transformation. The common denominator in all of these stories is that they show the power of unwavering strength in the midst of adversity. It is this strength that can get you through whatever life throws your way. After you read this book, I’m certain you will become a master in this journey of life. Shifting your focus to the positive can dramatically improve your happiness and self-esteem. With 52 weeks of daily entries along with inspirational quotes to start each week, this journal provides structure to help you focus while you write about things you are grateful for, set weekly goals, and have a permanent record of your victories, lessons learned and affirmations. It has been proven that writing can do wonders for your health and harness your creativity. It allows you to you re-live events you experienced in a safe environment where you can process them without fear or stress. Writing in a journal daily can establish a positive pattern of thinking and is the simplest, most effective thing you can do every day to be happier. 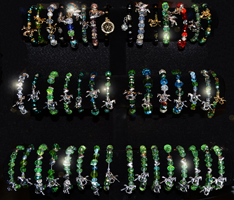 When you wear the Horse & Soul Bracelet it will Ignite the Unwavering Strength within You! Zeke (birth name Ezekiel) is your Horse Meaning “God Strengthens” or the “strength of the unknown power or God” Zeke is here to ignite your own Unwavering Strength so wear him with pride. 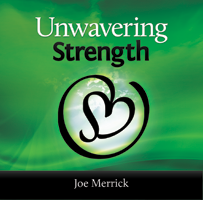 Order any 1 of the Unwavering Strength books and have it personally signed by the Creator. With each purchase receive a free bookmark. 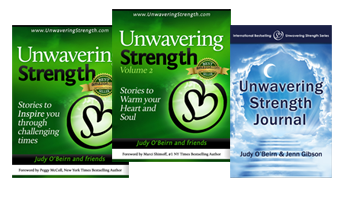 Buy the Whole Unwavering Strength Set! 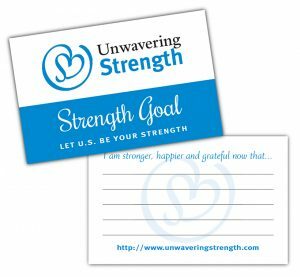 These unique cards are meant to give you a daily message of strength from many of the amazing U.S. Ambassadors who are sharing their quote in the hopes of helping you find strength in their words. The #1 method used by millions to achieve your goal of being stronger, happier and grateful is to write down what it is. Change it, update it and repeat it. Every day take out your goal card and read it and believe it!! 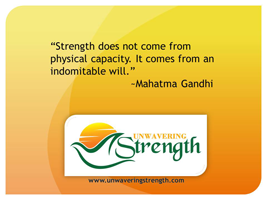 A percentage of net proceeds from all sales will be donated to the Unwavering Strength Foundation.